God has called His people to humble themselves through prayer and fasting. As a family and more importantly as a spiritual family we pray and fast so that we can deepen our intimacy with God. Fasting is a weapon used spiritually that God uses to further His kingdom, to spark a revival, and bring victory to his people. 2 Chronicles 7:14 God says, “If My people who are called by My name humble themselves and pray, and seek My face and turn from their wicked ways, then I will hear from heaven, will forgive their sin, and will heal their land.” By praying and fasting we fulfill the requirements. When you fast, you will find a humbling experience to go along with it. You will see that you will find more time to pray and seek after God’s countenance upon you. While in your fasting and prayer you will see how He leads you to know and repent of your sins, than you will experience blessings from our heavenly father. 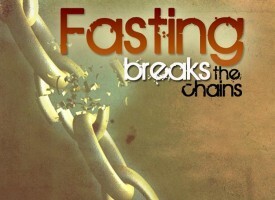 Fasting is an integral part of a believers life in Jesus Christ. While in a fast, one chooses to set a specific time to do without something that is hard to do without. If you study the Bible you will see that fasting is not just “not eating”, but it is an abstinence from food with a spiritual goal in mind. 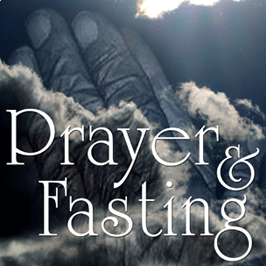 Luke 2:37c says that fasting is a way of serving God, while Acts 13:2 says that fasting is ministering to the Lord. God expects us to fast. Jesus said “When you fast”, not if you fast. Like Prayer, fasting is not an option. Fasting is part of the Christian life. Before Jesus began his ministry, He fasted for forty days. Jesus knew that He was going to need spiritual strength to fulfill his mission. Fasting may make you physically weak, but you will become spiritually stronger and better prepared to do God’s work. 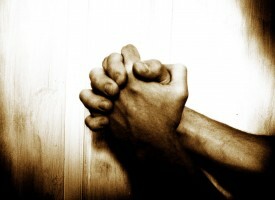 Acts 13:3 (14:23) Then, when they had fasted and prayed and laid their hands on them, they sent them away. The church fasted and prayed for Paul and Barbabas, which the Holy spirit had chosen for His special purpose. Later on Paul and Barnabas appointed leaders in churches and prayed and fasted before sending off to do the Lords work. Psalm 35:13 (1 Kings 21:27-29; Ezra 8:21) But as for me, when they were sick, my clothing was sackcloth; I humbled my soul with fasting; and my prayer kept returning to my bosom. Fasting makes us sensitive to the leading and power of the Holy Spirit. Luke 4:1-2 (Acts 13:2, Luke 4:1-2, Matthew 17:21, Mark 9:29) And Jesus, full of the Holy Spirit, returned from the Jordan and was led about by the Spirit in the wilderness 2 for forty days, being tempted by the devil. And He ate nothing during those days; and when they had ended, He became hungry. To many times we forget our priorities. Fasting is a physical reminder to us that God needs to take precedence over all our needs. Fasting will lift up the specific matter to the hand of God, who is able to do awesome works that bring Him all the glory. Fasting brings about personal and national spiritual revival. 2 Chronicles 7:14 – If My people who are called by My name humble themselves and pray, and seek My face and turn from their wicked ways, then I will hear from heaven, will forgive their sin, and will heal their land. Daniel 9:3 – So I gave my attention to the Lord God to seek Him by prayer and supplications, with fasting, sackcloth, and ashes. Fasting will bring forth a revival to the person and to the community. It will prompt the healing and change in us that will better prepare for the greater and much bigger things that God has in store for us. Why are you fasting? Is it for a specific renewal, or maybe for guidance, a resolution to some problems, grace to handle difficult situations? Make sure to ask the Holy Spirit to clarify the objectives and His leading for you in your fast. Once you know exactly what your fasting for, you must make a commitment. Remember that that God listens to prayers that are from the heart. Be true to yourself and be contrite as we expect the results from our father. The foundation of fasting is repentance. Sin that has not been confessed will hinder your prayers. You must seek forgiveness from all you have offended and forgive all who have hurt you. Make this a resolution as the Holy Spirit guides you. Fasting does have some precautions. If you are on specific medicine or have a chronic ailment, make sure to talk to your doctor before starting your fast. 5. Do less physical activities. Try to do less strenuous activities during this period. try to conserve your energy and spend more time in prayer and reading the the bible. Stay strong in your prayers as you spend more time with God in fellowship with Him. Ask the Holy Spirit to guide you and clarify the specific faith goals you have in your life (Church, Family, Money). Keep a thankful heart and expect God to answer.